Boeuf bourguignon is one homey dish. Eating it makes me want to cuddle and hibernate. It’s a good feeling. 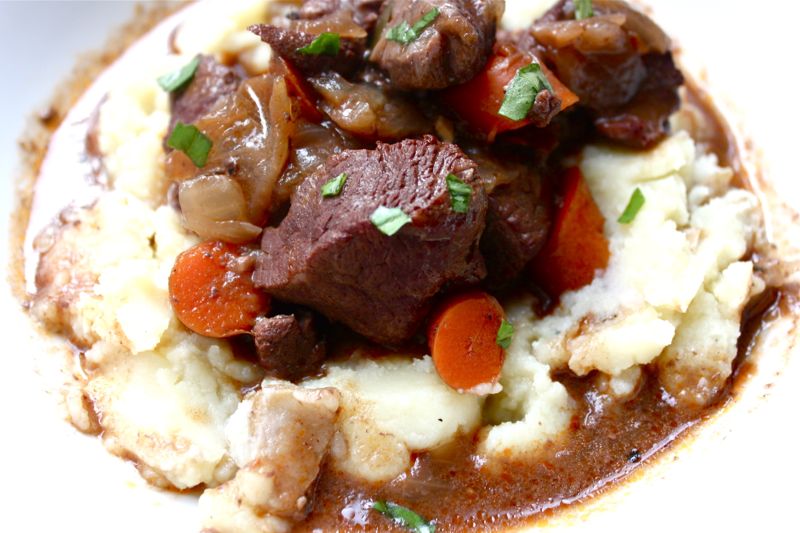 Boeuf bourguignon is cooked at a relatively low temperature for a long time until the meat literally falls apart at a fork’s first touch and the carrots soak up the dish’s savory flavors like orange sponges. The tastes and textures in this one-pot meal will leave you begging for another bite. You definitely want to make this stew. To do so, pre-heat your oven to 450° F. Then, brown your beef. 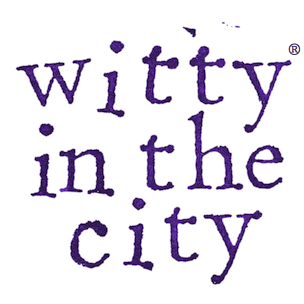 Do this by drizzling some olive oil into a dutch oven or other oven-safe pot, and heat it on the stove. (I used a 4 1/2 quart pot to cook just over 2 pounds of meat. It made enough for 5 servings.) 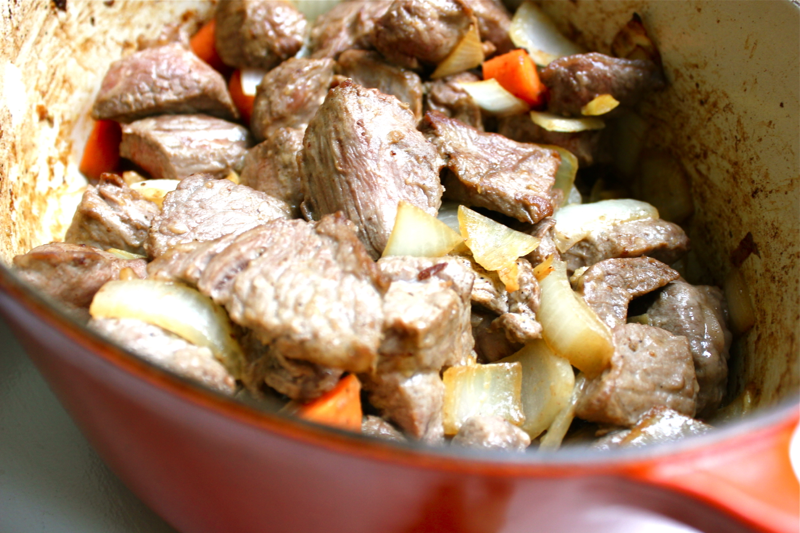 Pat dry 2 to 3 pounds of cubed stewing beef so the meat will sear instead of steam. Drop a few pieces of meat at a time into the pot, brown them on all sides, remove them to a side plate, and continue to brown the rest of the meat. Once all of the meat is browned and removed from the pot, add 1 chopped onion, 2 or 3 chopped carrots, and 2 chopped garlic cloves to the pot. Cook them until they soften and take on a slightly brownish color. Add the beef back to the pot with the veggies and sprinkle in 2 tablespoons of flour. Mix it all around so everything is evenly coated, and put the pot in the oven for 4 minutes. After the 4 minutes, stir everything in the pot and bake it for another 4 minutes. 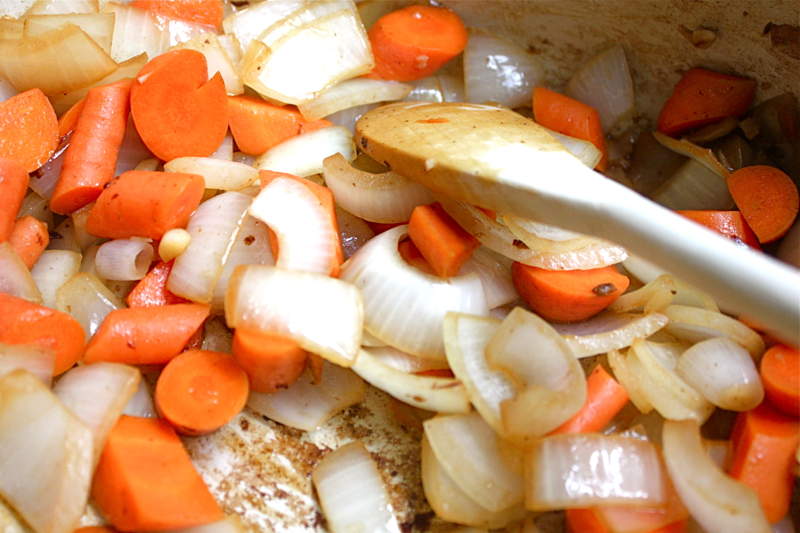 This process will give the beef and veggies a light crust, and the flour will serve as a thickening agent for the stew. After this time is up, remove your pot and turn the oven down to 325° F.
Put the pot back on the stove and pour in 3 cups of red wine and enough beef stock to cover the meat. Stir in 1 tablespoon of tomato paste, 1/2 teaspoon of thyme, and a crumbled bay leaf. Bring the liquid to a simmer. Then, cover the pot and put it in the oven for 3 hours. 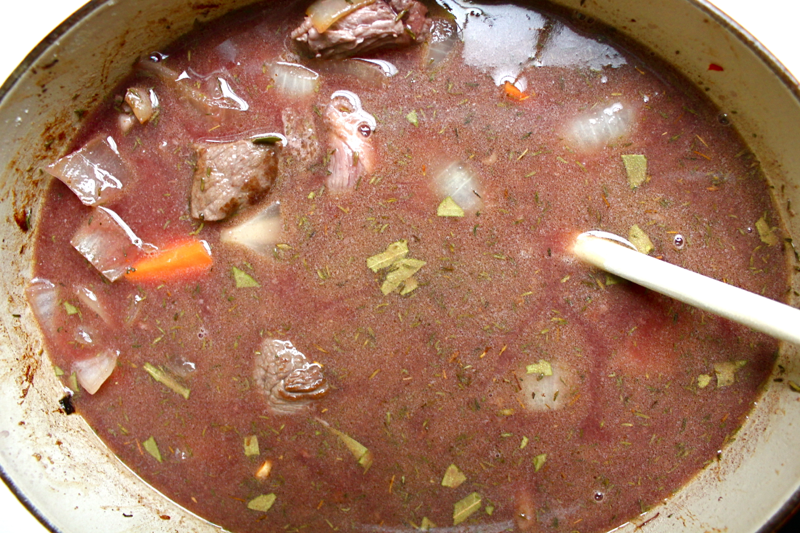 After the 3 hours, your liquid should have reduced and it should be very easy to pierce the beef cubes with a fork. If they aren’t tender (unlikely), cook the stew some more. 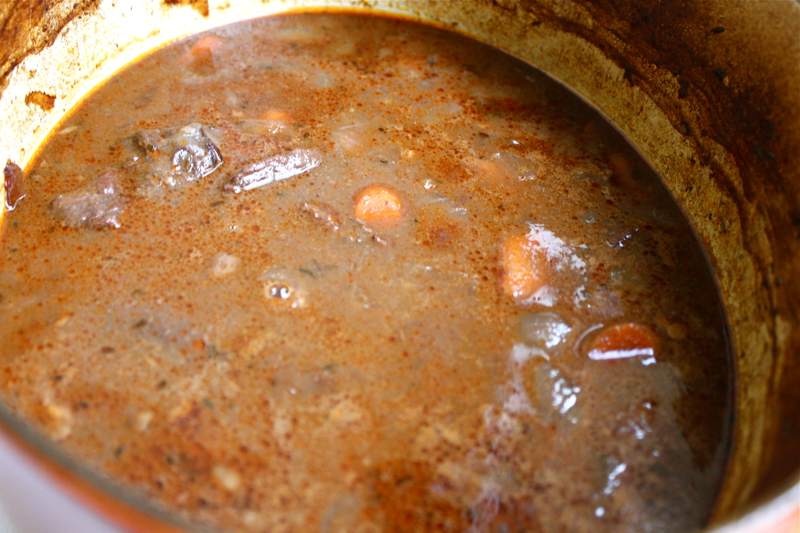 Skim as much of the orange fat off the top of the stew as possible. 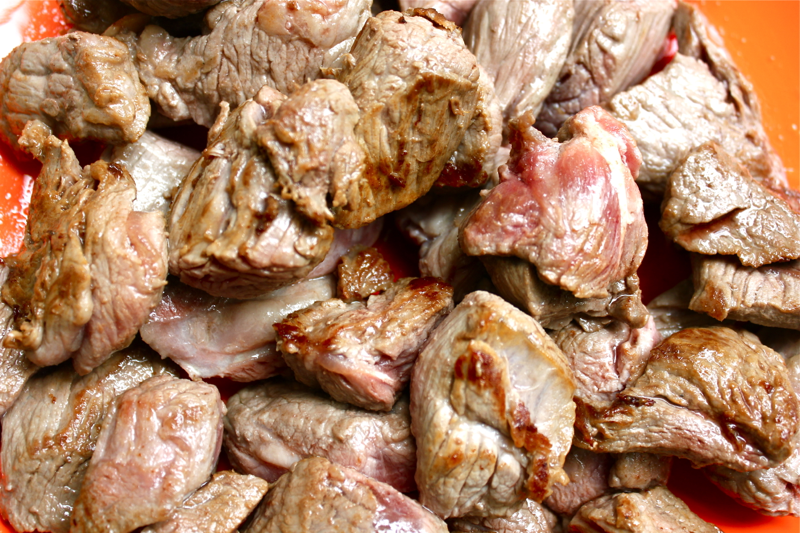 With lean stewing meat, there shouldn’t be much fat. This is very unlike the short ribs I cook using this same method, which are delicious but release about 1/4 inch layer of fat! 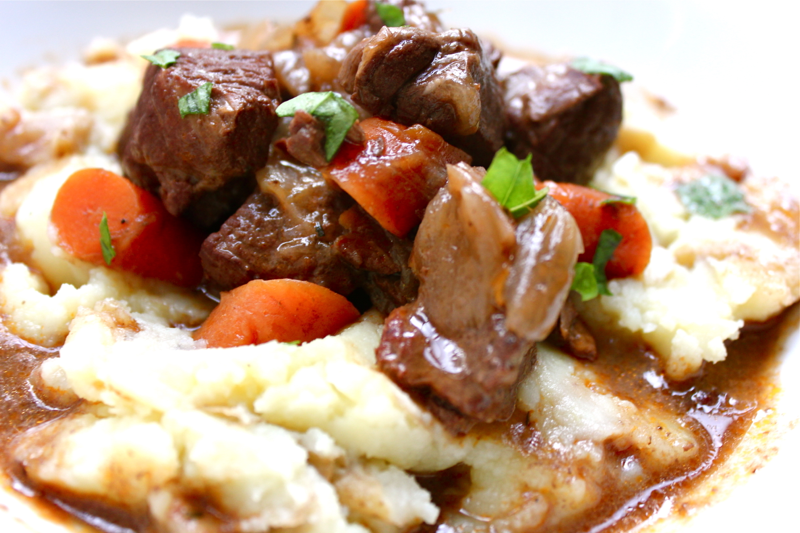 I really like serving boeuf bourguignon over mashed potatoes. I love how the gravy forms a moat around the potatoes, and they are so good when they get mixed together. Definitely have crusty bread on hand to sop up all of that goodness! We also like to make boeuf bourguignon sandwiches. We toast a baguette with cheese on one side (and mashed potatoes if you really want to indulge) and spoon the beef, carrots, and onion onto the bread. The doughy insides absorb the beef’s gravy and become really soft and delicious, but the bread’s crispy exterior keeps it all inside. Yummm! This recipe was adapted from Julia Child’s Mastering the Art of French Cooking. Could this be made in a crockpot after braising/sauteeing everything or in the pot on the stove?